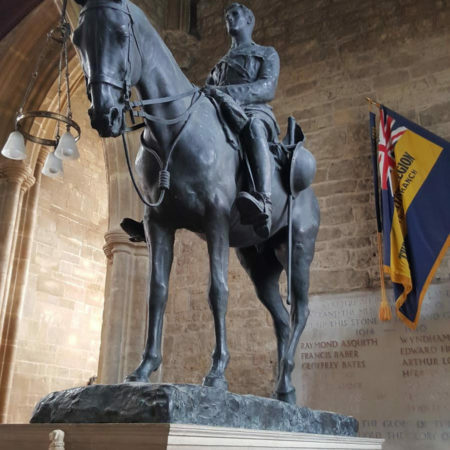 Our 2018 series of First World War memorials has featured elaborate constructions, simple village memorials and monuments to individual soldiers. Among the most poignant of memorials are the makeshift grave markers constructed at the Front, often under fire. 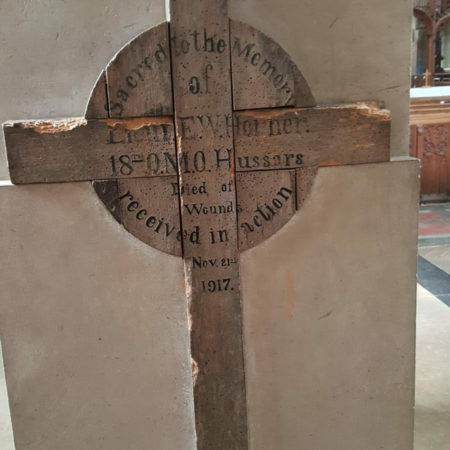 Many were returned to parish churches in the UK, and the Returned from the Front Project has sent us this report on their project to survey and record the returned crosses. The Returned from the Front Project: Supported by Gateways to the First World War, the arts and Humanities Council with additional support from the Western Front Association. We are a volunteer-led scheme the purpose of which is to explore and study the sites of all the wooden makeshift grave markers and crosses that were returned from the front at the end of the great war as the IWGC gradually replaced them with the Portland Stone markers we are so familiar with today. So far over 70 volunteers have looked at around 200 locations and recorded what they have found, in some cases bringing these unique objects back into the light for the first time in decades. Initially we believed there to be around 270 sites in Britain; this has now extended to over 400. 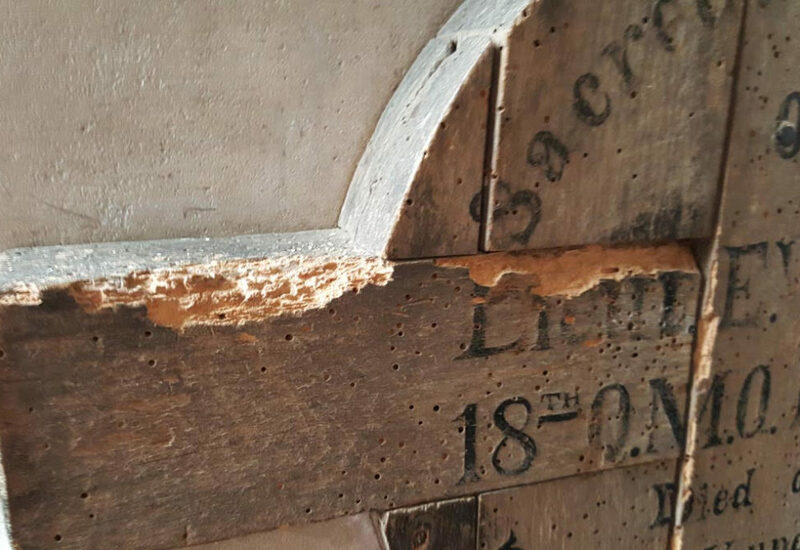 They range from standard British Army issue markers with metal tags fixed to quite grand and ornate crosses and plaques often constructed in situ from packing cases, wood or scraps from ruins and the locale. The men were often interred in hurried circumstances while still under fire and many of the markers still stand as testament to the feeling of camaraderie between these men in what were often exceptionally difficult circumstances. Some have carvings, others painted lettering and scripts. 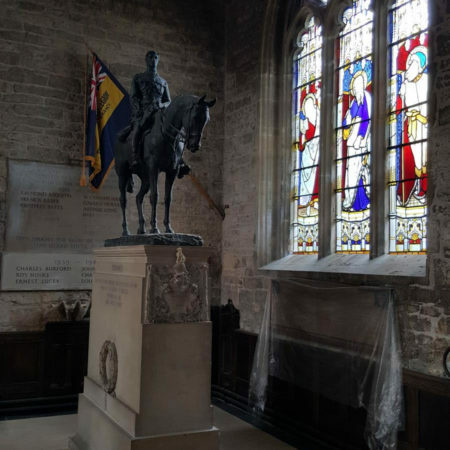 They cover nearly every rank in every force and range from unknown soldiers to VC holders and from bank clerks to famous figures such as Noel Chavasse VC and Edith Cavell. The markers can be found across the country, mostly in churches with a few in museums and barracks. Invariably they sit alongside later war memorials and are still a feature of remembrance rituals to this day. Each marker represents a story; a journey from home to the Front and an eventual return in most cases to the towns and villages the men originally came from, they are massively symbolic items which were and still are representative of a both families and communities in mourning after the Great War. One of the most elaborate and impressive is the Horner Cross and Tomb in Mells, Somerset. The church contains two battlefield crosses. 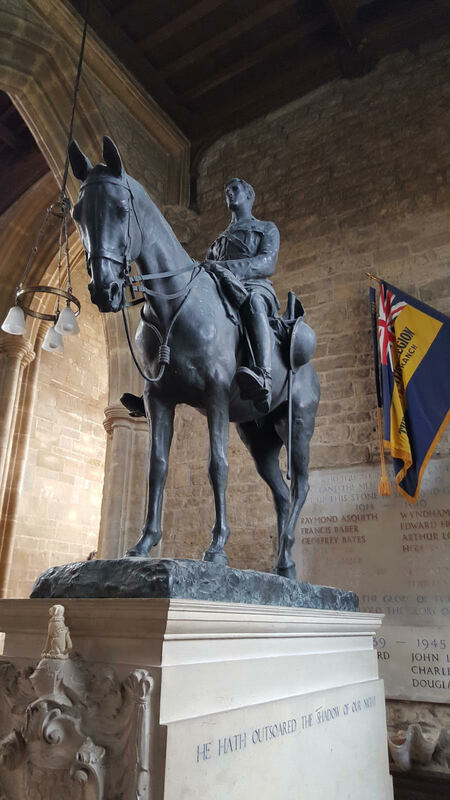 One commemorates the then Prime Minister Asquith’s son Raymond. 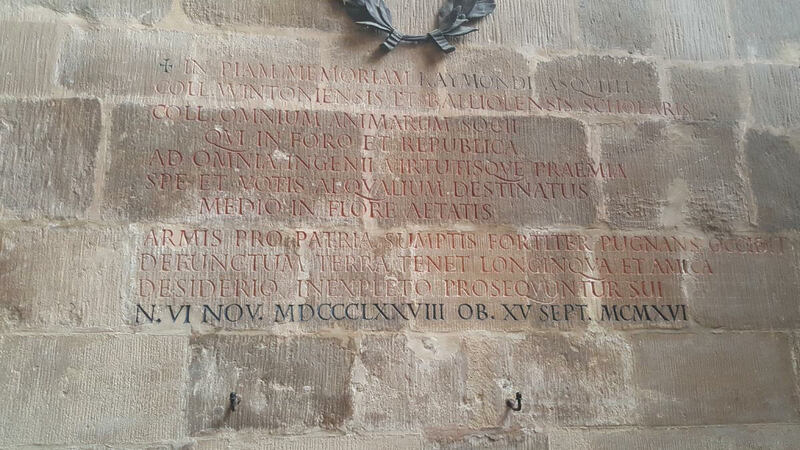 The second is a rather spectacular memorial to Edward Horner related to the Asquith family by marriage. 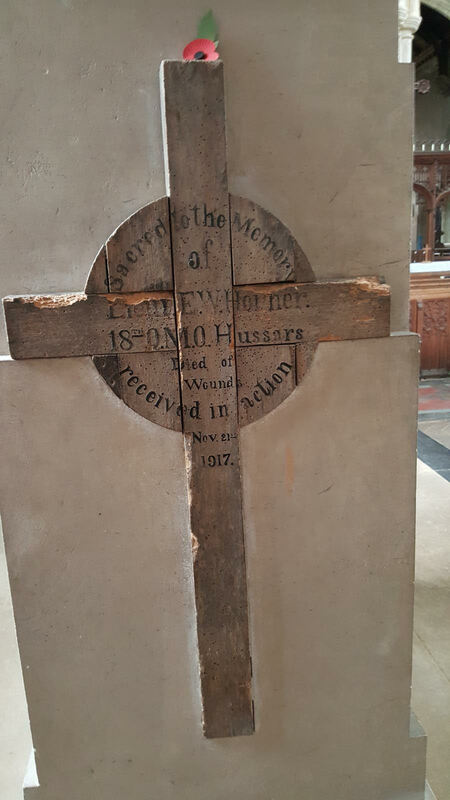 The memorial to Horner is by Munnings with a plaque by Luytens and text by Gill. The base is a miniature of the cenotaph in London. The Horner family will be forever associated with the rhyme Little Jack Horner who famously delivered a pie containing title deeds to Henry VIII allegedly minus the ones for Mells itself which became their home. 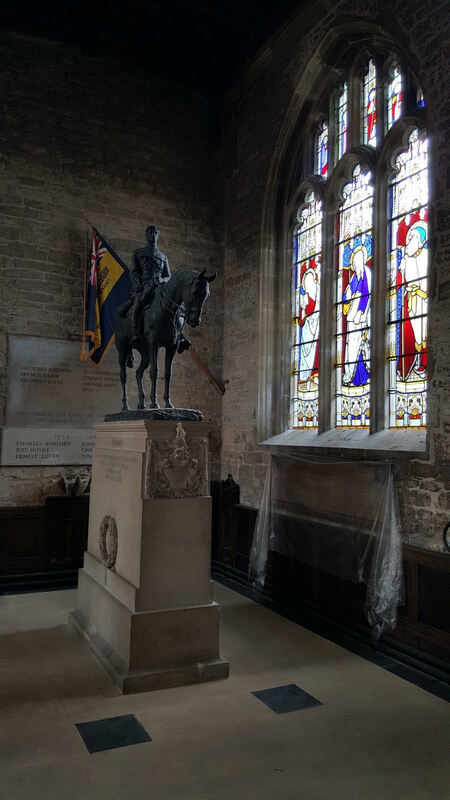 The church also contains a Norman font and glass which dates to the 1860s as well as burials for Siegfried Sassoon, Ronald Knox, Sir Maurice Bonham Carter, Baroness Asquith, George A. Birmingham, Christopher Hollis, Katherine Asquith and Reginald McKenna. 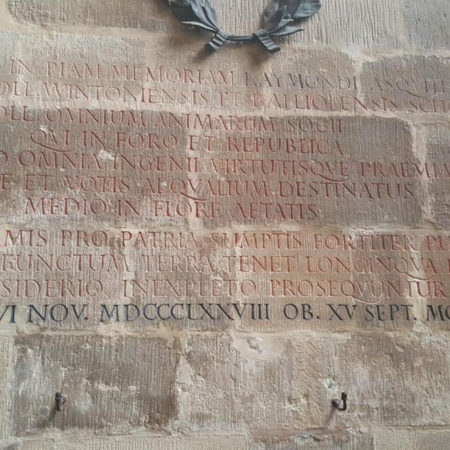 The project is ongoing and we are still collecting details of these markers and finding previously unrecorded examples. So please do feel free to keep an eye out and contact us if you spot a marker that we don’t have listed.